Drone photography is increasingly popular at weddings—and this image is a great example of the creative opportunities it presents in the hands of an expert photographer. 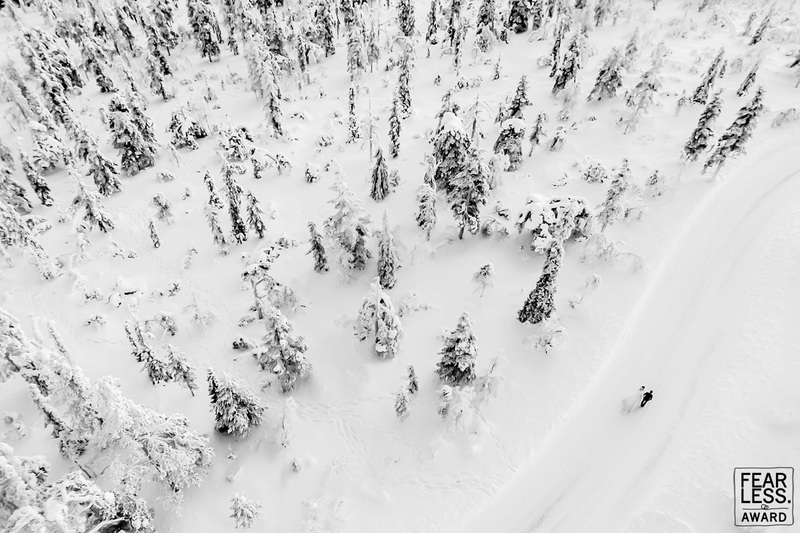 The ultra-high angle emphasized the starkness of this winter landscape and revealed the gentle S-curve of the road. The couple's stroll would not have seemed as magical in a terrestrial capture.